Good times, good times. That’s what I mostly remember. Oh sure, I have my regrets, quite a few, but I choose to keep those filed away in a locked cabinet somewhere to the left and south in my head. There’s not much I can do about the not so stellar moments and coulda, woulda, shouda things. I prefer to recall the fun stuff that made us laugh. Homemade sidewalk chalk in process. Seems like we did more than a few projects. Remember making homemade sidewalk chalk? More vibrant than the store-bought stuff, those chunks lasted forever no matter how much you colored, drew, scraped, mixed with water and rechalked. Watching your artwork blossom on the cement as your knees and hands and clothes got covered in colored dust made me smile. Not quite as creative, but still a grand idea, that four by eight foot white board Dad brought home and set up kept you busy for hours. Pretend school, artwork, self portraits, math homework, countless hangman games, it turned out as a smart and fairly inexpensive investment. I’ve never seen blanket forts as great as those you all constructed. Seems like I recall a huge one in the living room at the Saint Elena house. Didn’t it have several “rooms” and small hallways? I think you might have even slept in that one. And the nook at the top of the stairs seemed designed specifically for building blanket forts. I still run across a blanket or two now and then with a few holes strategically cut to fit over posts or some other “construction” idea you had as you built your hideaways. I had a friend growing up whose brother built a tree fort that you guys would have loved. My friend Jori and I spent time up there when we could get away with it. What a perfect way for kids to spend a summer day. I feel all relaxed and young again just thinking about it. The “sunroom” in the Oklahoma house served a similar purpose. Seems you spent time out there year round despite the fact that it got almost no sun except about an hour in the morning. That screened in room saw every kind of sport imaginable reinvented by you and your friends. The tent even got set up out there to dry off after a couple of rained out camping trips. That whole house, with it’s strange added on section and odd closets, was a weird crazy hide and seek haven which you made full use of. Now there’s a game you never, ever tired of. Whole boring afternoons could pass in one ginormous hide and seek game. You got pretty good at squeezing into the smallest most unsuspecting spaces and staying incredibly quiet. Rainbow Jello keeps popping into my head. An all day project that I’d never attempt on my own, one of you kept at it every half hour for five or six hours, mixing and adding each layer as the last layer set up. Tasted great and got made several more times after that, a work of love and art all in one. One of the best birthday parties ever happened at the Saint Elena house. We filled a zillion water balloons and tossed them in the pool. It looked like confetti in there. The nine-year-old party guests had a riot. And just before getting out of the pool for cake and ice cream all the balloons got tossed at targets sidewalk chalked on the cement brick wall. I’m sure if I thought longer I’d scrounge up more good times. Shoot me an email or a text with other fun stuff you remember. It’d be nice to compile all of them. I don’t want to forget a single memory or happy time we shared. Thanks for the laughs and giggles. Thanks for sharing your joy with me. “Men do not quit playing because they grow old; they grow old because they quit playing.” ~ Oliver Wendell Holmes Jr.
It’s Gratituesday! Today I’m grateful for those little nonsense moments of inane laughter that happen on occasion. For me, now that the kids have all flown away, those moments come most often disguised as a video clip, a status update or a tweet. I know, it sounds really pathetic. And maybe it is, but I don’t care. My daily laughter happens one way or another. Some days more than others. Other days I simply shake my head (SMH) and sigh at the stupidity without the laughter. Depends on my mood, actually. What’s funny one day might not strike me as funny the next day. Long before I joined Facebook my kids shared tickle-my-funny-bone stuff like the Llama song. I still crack up every single time I see it. And the Russian Car Dance video? Totally makes my day. I still want to make up my own car dance. Haven’t yet. I think I need a posse to do it, y’know a group of people in the car with too much sugar in their system and too many miles under their seats. We could rock some of those tunes. I’m sure of it. Maybe not enough to make our own video, but it’d be fun, at least. Abe also teaches first grade, so he has great material to work with. Lately more than the normal amount of cat and dog videos have made the rounds. I reveled along with that Siberian Husky running through a pile of leaves. I felt like I was living vicariously for a few moments through that dogs obvious joy and abandon at such fun. I secretly take joy in the videos where the cats get their comeuppance. That’s probably because I inherited my Dad’s cat tuning genes. Not to mention cats often get a bit uppity, as clearly evidenced by nearly any cat video out there, of which there are millions. No apologies today. I’m just grateful that I can laugh at all. I don’t always feel like laughing, even though I know it’s good for me. Please feel free to send me a link to your favorite laugh-inducing nonsense. I’m sure we could all use an extra laugh or two. My latest attempts at achieving organizational nirvana involve the computer, colors and willpower. After two days using this self-created self-help tool I’ve recognized a few fatal flaws. My willpower varies widely with the time of day, how much sleep I got, if I remembered to take my medications and how much caffeine is in my system. I might have to resort to stronger measures. Like a sheet of paper and a pencil. Someone one December suggested abandoning the lists altogether. You know, those creatures with the one track mind. Aim them toward something and nothing will distract them. No multitasking there. Do Item A. Ignore everything else until Item A ends successfully. In fact, no other items even exist until Item A reaches completion. Oh, to be a man. Here’s a sample list of things to do between now, Friday afternoon, and Monday, three days away. I hope your list doesn’t look this long or this silly. If I cloned myself and hired someone to help it might begin to make a dent. And this doesn’t include the seven or eight things at the top of the list. Nor does it involve the unwritten mental list I carry around all the time. And it certainly doesn’t have anything written down that might suddenly come up and take total precedence over the entire list. Even the red, or blue or highlighted or underlined or bolded items. Nope. There’s always that kind of stuff hovering nearby. If you’re like MSH, or almost any other man, you’d suggest the ABC123 approach of prioritizing. But, honestly, I’m just venting. Your job is to read and commiserate or shake your head and think I’m a nut case. Whatever. If you also have a list that looks like this, or worse (bless you) then you understand. My list is just here to make you feel better about your list. What gets done will get done. What doesn’t, doesn’t. It’s Gratituesday! Today I’m grateful for silliness and nonsense. Yes, you read that correctly. From seated bleacher “dancing” at the local High School football game, (that band rocks it!) to one liners and zingers on Facebook, from tickling to hot pink sparkly toenails on a woman over a certain age, from nonsensical YouTube video featuring llamas or dancing cats to old cartoons and sitcoms from the dark ages. Whatever the reason for a short break from life’s daily serious menu, I willingly embrace it. I’m lucky to know friends who’ll scream and giggle like teenagers in spite of being several decades older than the giggly screamer age. Fortunately I also know some quick-witted people who can go toe to toe with me with jokes and nonsense and movie quotes. Happily when our family gets together laughs and guffaws outweigh tension and discord fifty to one. Life’s full of serious business, contemplative moments, heartache and worry. I used to scare away potential friends with the weight of the world sitting solidly on my shoulder for all to see. Laughter didn’t fit in with my earnest desires to make the most of my time on the planet. And then, someone taught me by example years ago that silliness didn’t take anything away from life’s solemnity. In fact, I saw and began to experience the load lightening magic of nonsense, laughter and silliness. Like downing a huge glass of ice water in the middle of a hot and sweaty task, silliness refreshes and refills and rejuvenates. Too much of any good thing will cause more harm than good. All silliness and nonsense makes life a shallow pointless effort. Finding a good ratio between “LOL” (laughing out loud) and putting one’s “shoulder to the wheel” might make all the difference in my success at the hard work side of life. If you happen to see a woman in a little truck doing some car dancing or belting out a tune like she’s some rockstar, it might just be me, taking a silliness break before heading back to my rock and my hard place. Turn off your serious button and laugh a little. It’ll do you good. Click on these short links. What is this Car Dancing she talks about? Who said Cat’s can’t dance? Okay, maybe llama’s are funny. Can We Just Call It a Forfeit? I stopped looking at my to-do list last week. It wasn’t really a cognitive decision. It was more like throwing my hands in the air and surrendering. I give up, you win. I lose. Whatever. My days are like an American football game, where the team with the highest score has the ball and there’s only a minute left on the clock. They go through the motions. Put the ball into play, pretend to shove and jostle each other, let the clock run. They do it again, pretending at playing the rest of the game, but really only letting the clock run out until the game is officially over. Clearly, obviously, the game was really over when the score was so out of balance it was pointless to keep playing. No way the other team could catch up, even with a miracle pass or two. The fans in the stands have been leaving since that last big score, maybe sooner than that. Kind of pointless. Unfortunately, I’m not one of the fans, I can’t simply leave the stadium and go home. I’m one of the players. Pretending at the game, but my heart isn’t in it. And, guess what? I’m not on the winning team, either. My to-do list is the opponent in the football game. No matter how hard I try, how many hours I work at it, I will never catch up to the other team. They have the ball. I’m not normally winning this to-do list game, but this one, the Women’s Holiday Bowl is always a blowout. 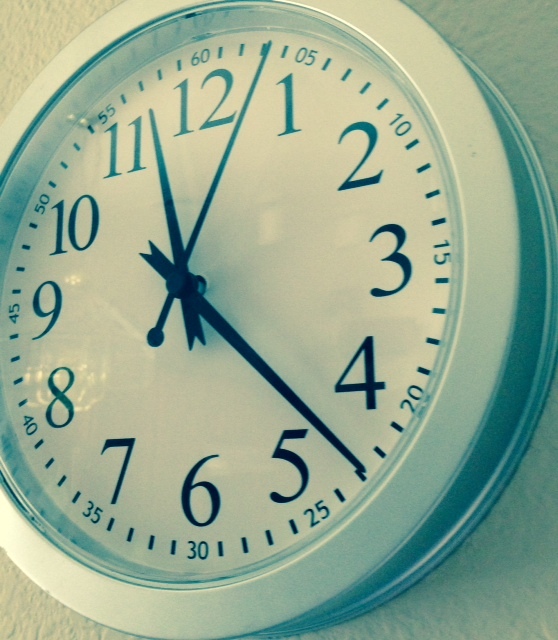 The clock runs out on December 25. I’ve put up and decorated a tree. There are bright shiny lights outside on the house. I’ve bought a few gifts. Three points for me. Yay! Now the winning team’s score: They are ahead by an obscene amount of points. Add to the other team’s score everyone else’s expectations and my own expectations. The cluttered house is points against me. The piled up mountain of clean, but wrinkling, unfolded laundry puts me further behind the game. The neglected plants, the science experiments in the refrigerator, the overflowing garbage, the avalanching desk are more points for the other team. Add in the points of undone Holiday tasks, errands, baking, mailing, wrapping, shopping, decorating and the game is a rout. 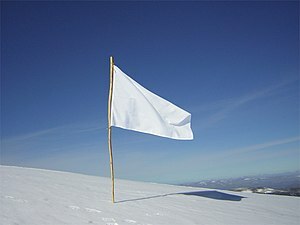 White flag, I surrender. I won’t play the game anymore. The to-do list team has won. So I stopped looking at the to-do list. Instead, I listen to relaxing, no lyrics, seasonal music. I smile at the pretty glowing lights on the tree. 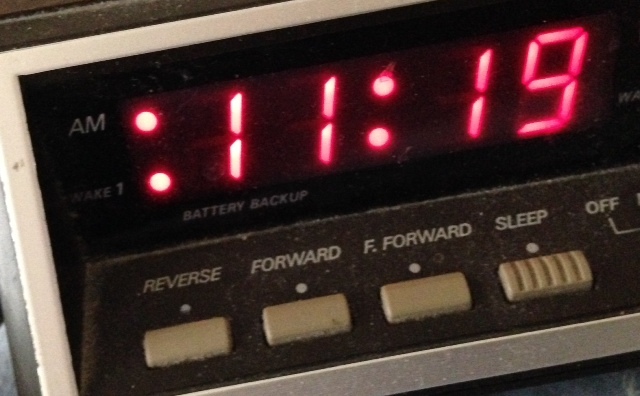 I anticipate seeing my daughter who is flying in from out-of-state for a week-long visit. My heart warms to the thought of my sister who’s planning a trip here. I put away the boxes of decorations that won’t go up this year. I go to bed at a reasonable hour, no late nights for me. I read a book, a tangible, in the hands hard copy, turning pages slowly, savoring the words, rereading sentences that resonate. I wake up without feeling panicked. I stick to my usual routine. The to-do list team builds, grows, looms, plays the game, racking up points, while I go about my life humming and attempting an aura of obliviousness. I want to feel happy about things, not let it bother me. I want to emit a sense of carefree abandon. I don’t think anyone is buying it. The severely out of balance game is humiliating to watch and even worse to participate in. I’m ready for the locker room.